Goodnight! I use your knowledge. 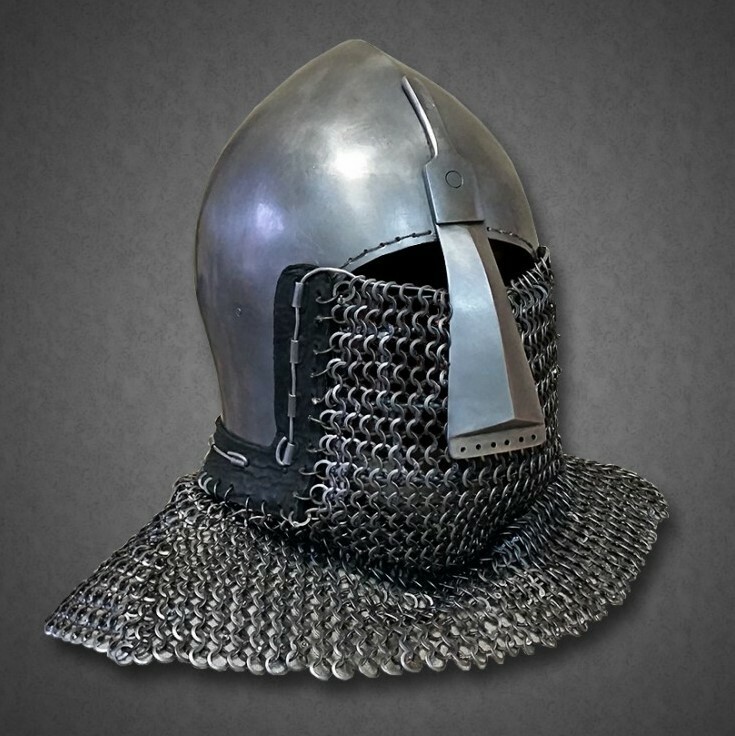 I am a bohurt fighter and I would like you to inform me about armor kits from the 14th and 15th century, for example what helmet was used, with which armor and which legs and arms that correspond in terms of historicity, since we have been auditing the equipment historically . For example klapvisor bascinete, with wisby and splinted arms and legs, etc ... thank you very much and attentive to your comments. What you mentioned is a very classic mid 15th century combination. Wisby with Splited arms and legs is a great choice, However I would put a demi-greave on the calf. Also for buhurt I recommend using a Nasal Bascinet with reinforcements hidden behind mail. It has better breathing and vision that is very important for buhurt which is a competive sport. 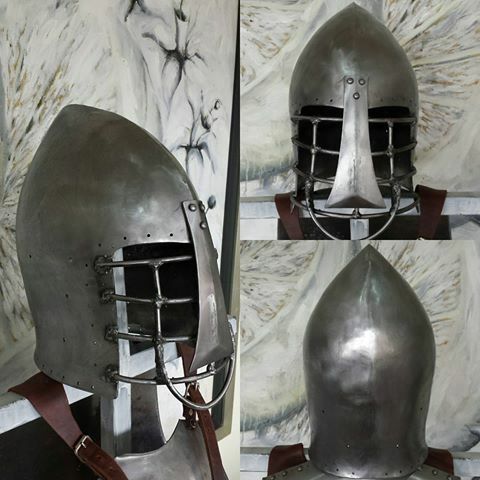 In Argentina Alam Bijiman makes good helms in this style, I recommend him for you. Just remember go for light armour maximum 25 kg. I guess you mean 14th century? Since bohurt championships allow equipment to be a bit further apart in timeline than what you would see historically, your plan is fine. Historically, klapvisor bascinets and splinted limbs became Popular when wisby coats already became outdated. Waisted coat of plates, corrazina or breastplate would fit better. Remember that when wisby battle was fought, such coats of plates were outdated for a generation. Yes my apology I meant 14th century.